We’re on the precipice of crowning a none athlete the greatest player to ever play the game of professional football, or GOAT. New England Patriots have lumped all of the skeptics of this coronation as “haters.” I have publicly presented myself as the foremost of haters because I have written a book, (The Asterisk, A Fan’s Grievance On Cheating And Rule Manipulation In The NFL©) and presented many fact-based and well-sourced reasons why it would be a fallacy to name a quarterback in the 2000s GOAT, particularly one who was involved in elaborate schemes to cheat his opponents on the field of play and the same being involved in one of the most infamous scandals in professional sports. One could easily make the case and I did, that when Thomas Edward Patrick Brady Jr. was presented with the game plan on a silver platter he knew full well that it contained details on his opponents that were obtained by breaking the NFL rules. Being involved in the Spygate saga didn’t discourage Deflategate, it appears as though it encouraged it. When examining all of the evidence Brady clearly appeared emboldened to be a cheater. To date, he has not claimed responsibility for his actions. Will some sports writers withhold their votes for Brady when it’s time for him to enter the Hall of Fame? After all, they most assuredly have more of a basis to do so with Brady than they did with Terrell Owens. Can anything be more empowering than continuously hearing “The Brady Rule.” Don’t get me wrong, for many athletes who have spent a career taking the field on their own merits a rule to enhance their performance would be an embarrassment. 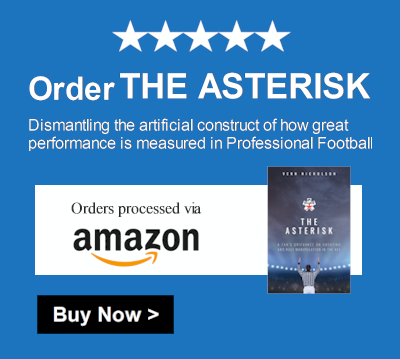 But year-after-year a son of a diehard Patriots fan and season ticket-holder in Roger Goodell reorchestrated the league by elevating the performance of less athletics and stationary targets on the field of play. Brady spent a career attacking refs on the perceived privileges granted him by the affirmative action of the NFL. Brady’s sideline outbursts toward coaches and his teammates were and are atrocious when you consider that by all accounts he appears to be a great husband, father, son, and sibling. We urge the professional world of sports writers to take the blinders off when examing what Brady’s era has meant to professional football.